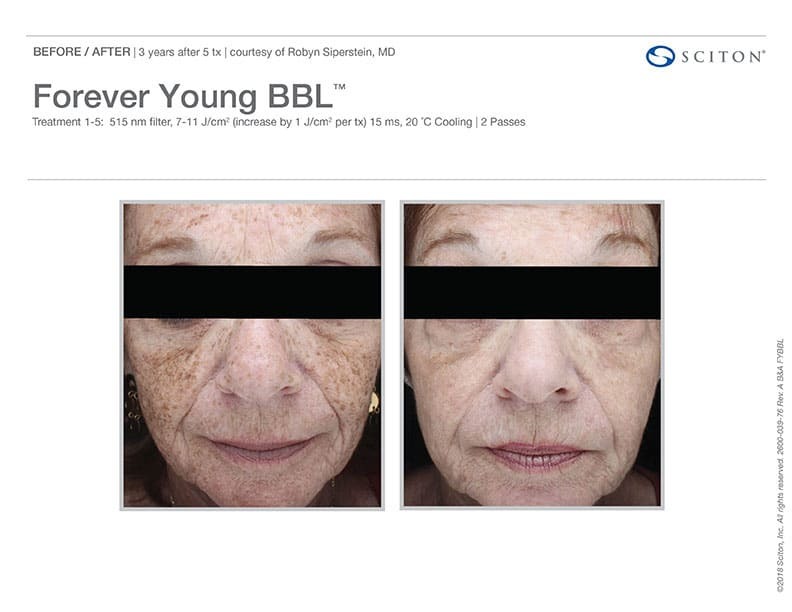 Forever Young BBL – Harness the Anti-Aging Power of Light Therapy at Well Medical Arts. 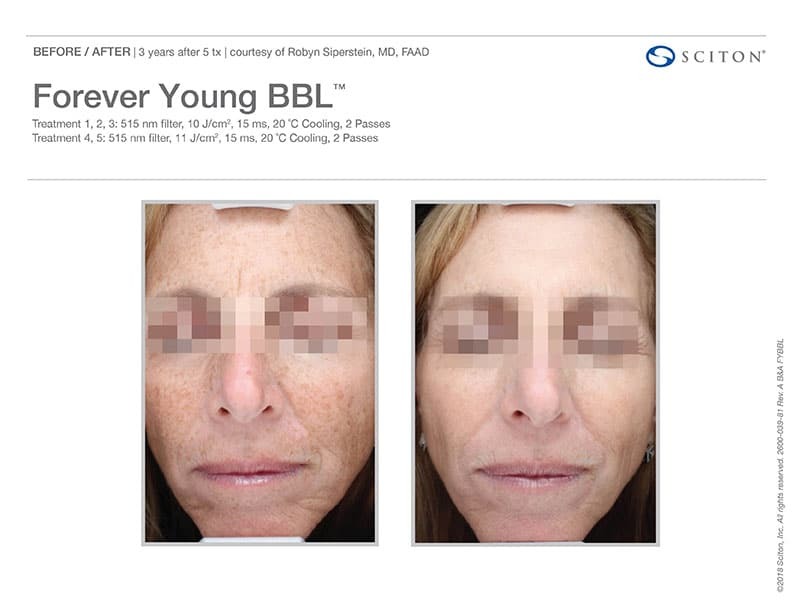 The Forever Young BBL treatment is an innovative technology that uniquely delivers light therapy targeting the signs of aging and sun damage and effectively provides a more refreshed, rejuvenated and youthful appearance. Unlike lotions and creams, the technology can reach the deepest layers of your skin, which is where most of the aging process happens. 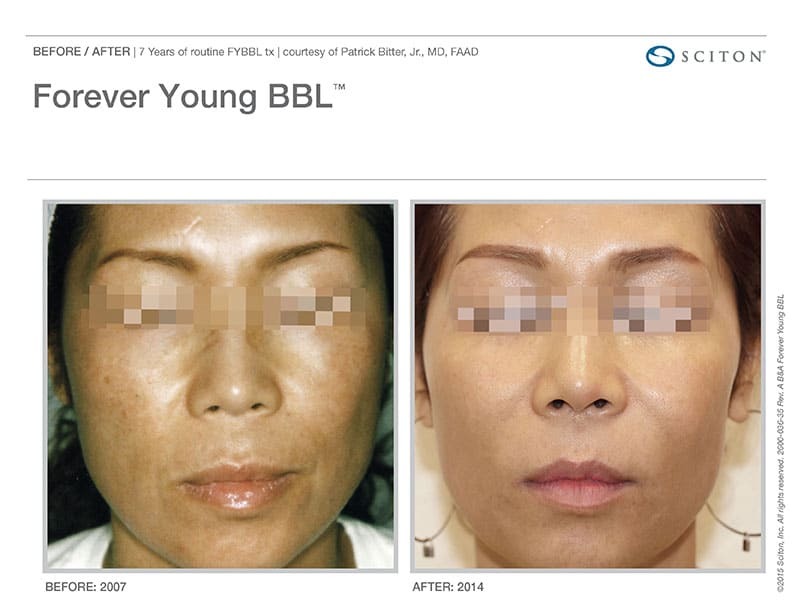 What areas can be treated with Forever Young BBL ? 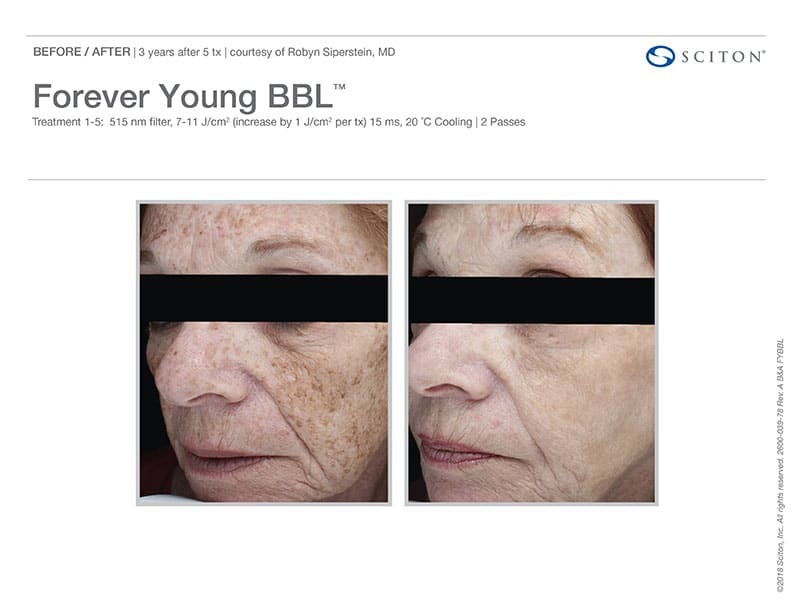 At Well Medical Arts virtually any area of the body can be rejuvenated with Forever Young BBL treatments. 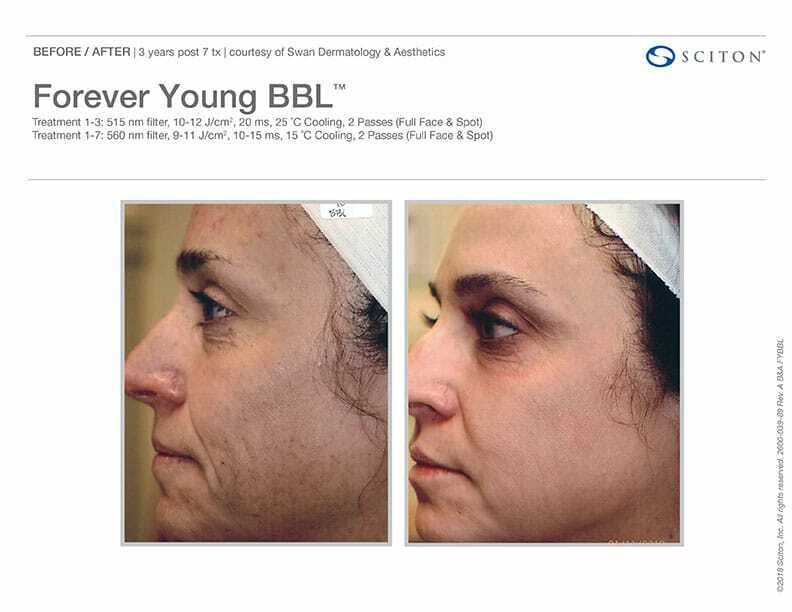 What to expect during your Forever Young BBL treatment experience. Your Forever Young BBL treatments will be done in the privacy of one of our treatment rooms. No anesthesia is necessary for this procedure, but you will need to wear protective eyewear. The appointment will consist of covering the treatment area with a cooling gel, placing the handpiece against your skin, and delivering precise pulses of light energy to heat the upper layers and stimulate the production of fresh collagen. You may feel a slight stinging sensation while the treatment is being administered. Most of our clients tolerate the procedure very well. Your entire appointment will take between 30 and 45 minutes, and you will be free to return to work and resume your normal daily routine right away. We recommend ongoing BBL sessions to obtain optimal results and preserve your new, youthful look. The exact number of appointments will vary depending on individual patient needs. During your initial consultation, we will create a customized treatment plan that meets your needs and achieves your aesthetic goals. 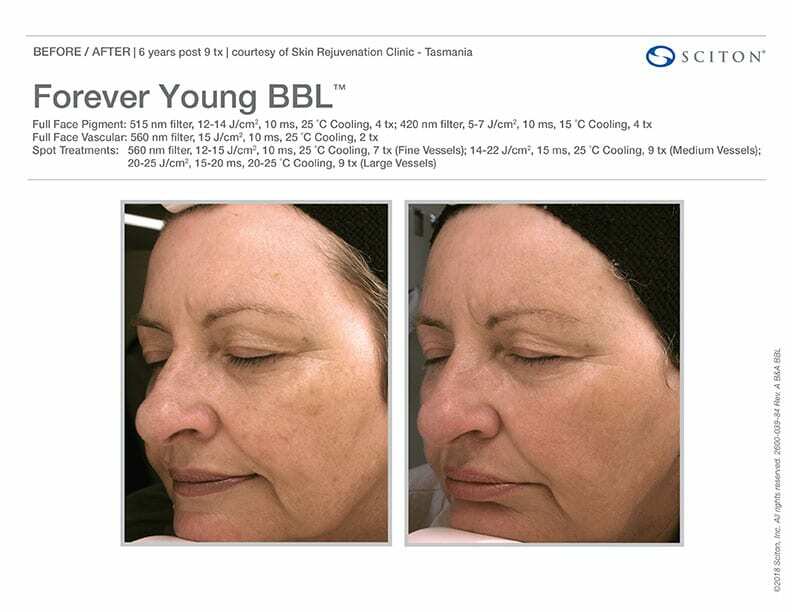 After your Forever Young BBL treatment. 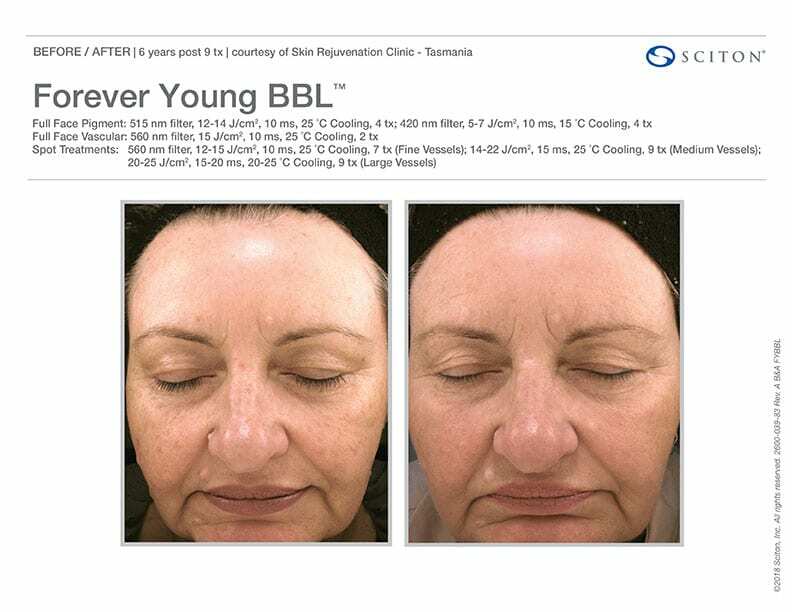 After a Forever Young BBL session, some skin redness is normal. You can also expect any pigmented lesions to appear darker for a few days. With time, this redness will dissipate and any dark spots will fade and flake off. At that point, the treated skin will appear younger and smoother. 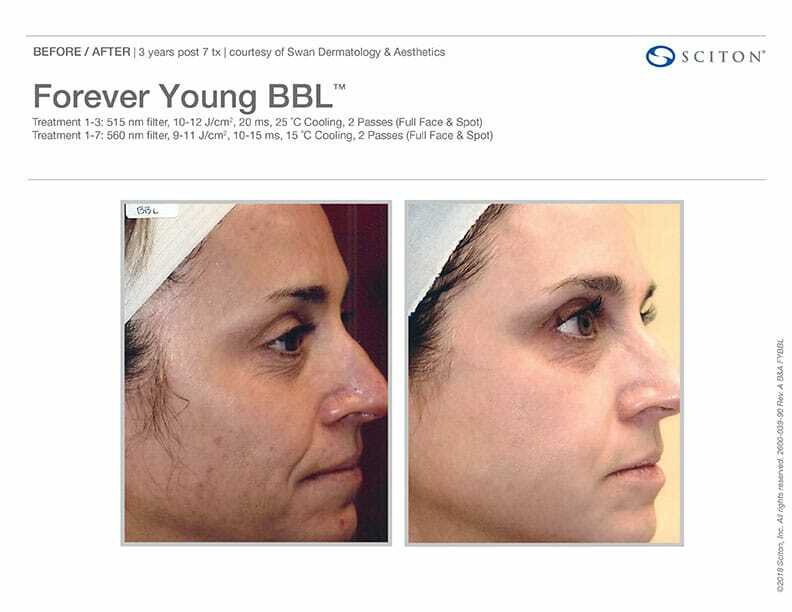 Because BBL is non-invasive, there is no downtime associated with the procedure. You will be able to return to work and apply makeup to the area right away. However, you will need to avoid direct exposure to sunlight for a few days to ensure optimal results. Takes years off of your appearance. 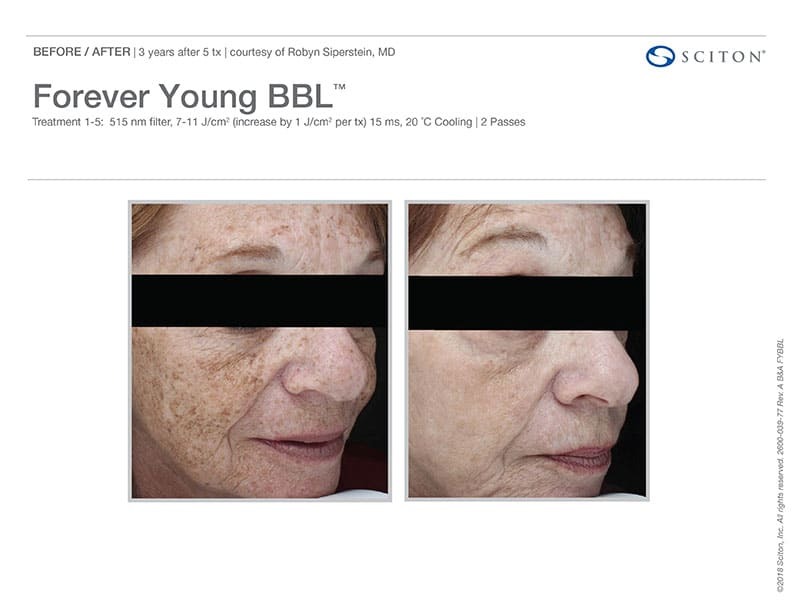 Forever Young BBL is known for producing incredible anti-aging results. 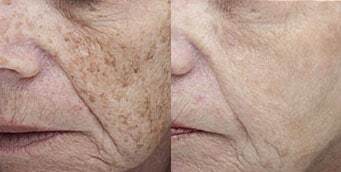 In one study, doctors determined that patients who received regular treatments (at least once a year) looked ten years younger than they did before their first session. 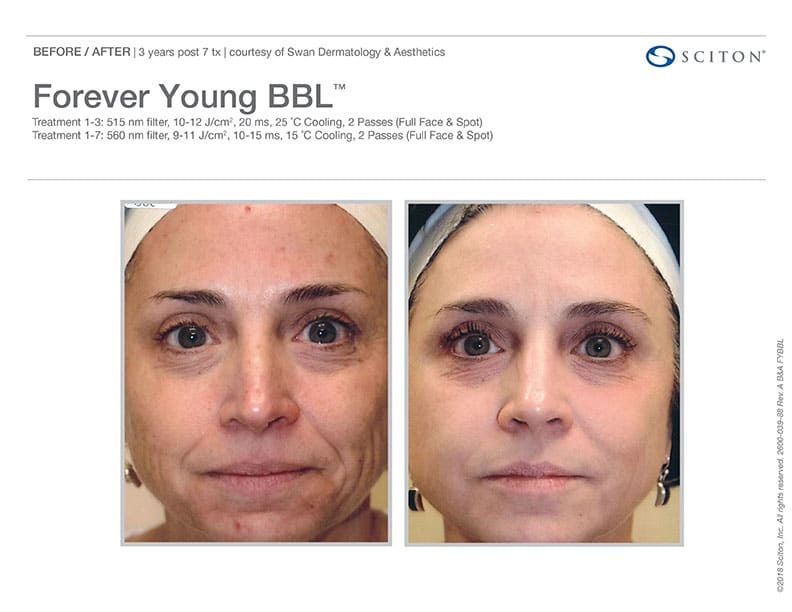 The changes that BBL makes to your skin are considered permanent. However, you will continue to age naturally moving forward. As such, we recommend periodic treatments every few months to address any new signs of aging and preserve your youthful new look.